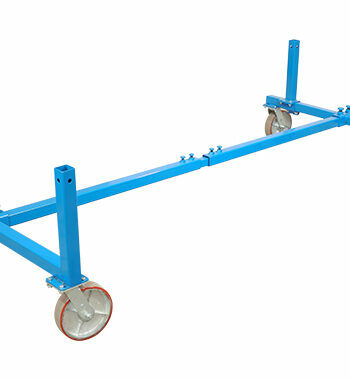 Our Body Cart CLASSIC is your ticket for a low cost, universal heavy duty body cart. 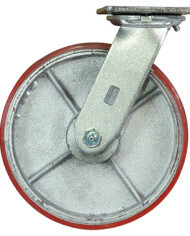 It has 8”x2” polyurethane over cast iron wheels, rated for 1,250 lbs each. 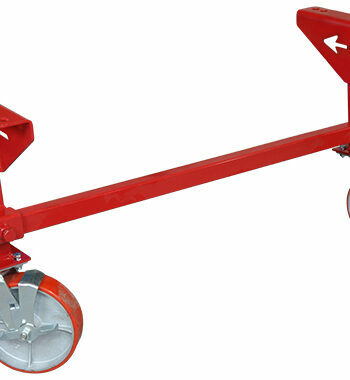 We rate the cart at 3,000 lbs because (1) most bodies don’t exceed that weight, and (2) once you exceed 3,000 lbs, the casters get more difficult to swivel in the travel direction. 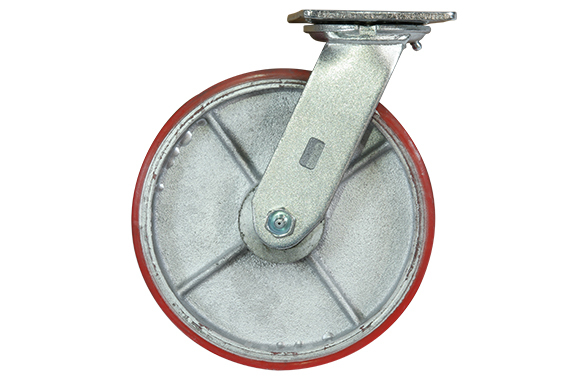 We have optional 10” solid rubber casters, 2 swivels and 2 rigids, that can be substituted for the 8” casters. No brakes on the rubber wheels. 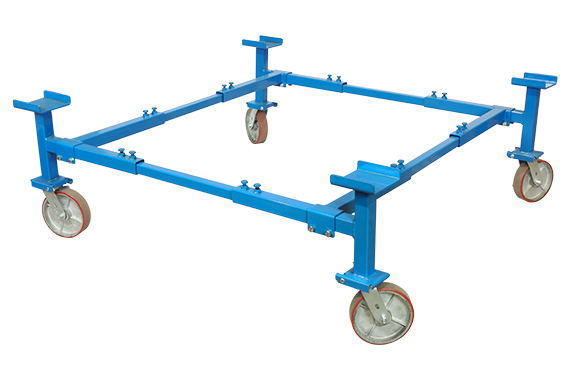 The weight capacity of rubber casters are 500 lbs each, which de-rates the cart capacity to 2,000 lbs max, assuming even weight distribution. 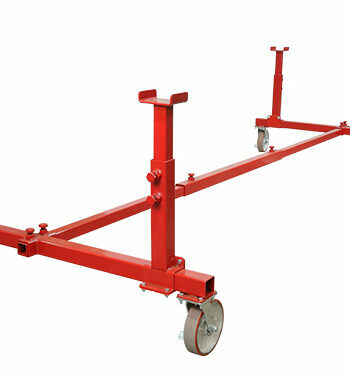 This cart is fixed height at 22“ high. 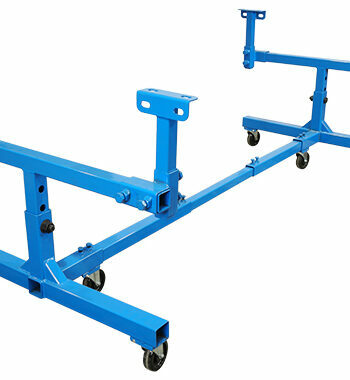 The mounting pads are designed to hold a frame or frame rails on your body. 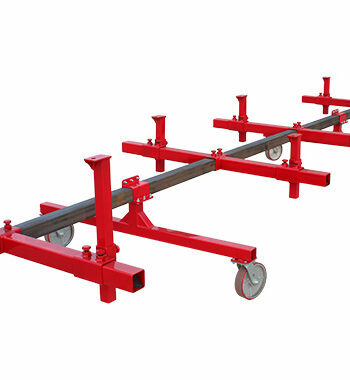 40” to 65” adjustable width and length.